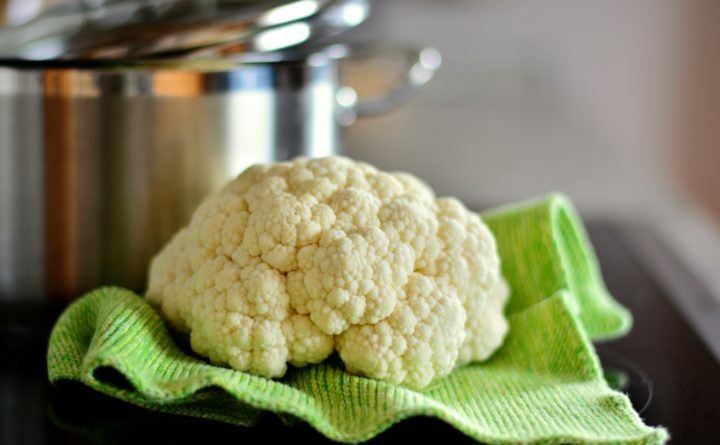 Let’s hear it for cauliflower, that darling low-carb, low-calorie, vegetable with lots of fiber and vitamin C. I don’t think for a minute that we ought to eat something simply because it is good for us. I love cauliflower because it can be prepared lots of ways that taste really good — cooked or uncooked — and I can feel wholesomely fed at the same time. At this time of year, I begin to long for green stuff — not just lettuce but flavorful arugula, spinach, watercress or pea shoots. The excellent news is that shoots and sprouts of all sorts are easy to find. Grocery stores have them, and I discovered gorgeous bags full of pea shoots at the farmers market. A great many Maine farmers offer them along with microgreens, tiny shoots of all sorts of vegetables which can be sprinkled into salads or added to sandwiches. I’ve grown pea shoots myself, using 3- to 4-year-old pea seeds whose capacity for germination was declining, which I planted densely in a flat of growing mix and allowed to get tall enough to set true leaves. I cut them off at the top of the soil and used them in salads, stir fries, sandwiches — all sorts of ways. You could make your own microgreens in the same fashion using up old broccoli, radish, lettuce, cabbage, beet, turnip and scallion garden seeds. Somehow it is easier on my spirit of frugality to grow these seeds out rather than toss them out when their germination gets a little patchy. The cauliflower in this recipe is roasted; tossed lightly with olive oil, and given 15 minutes in a 400-degree oven. If you don’t want to roast the cauliflower, just remember that a lot of sturdier vegetables such as cauliflower, broccoli, green beans and zucchini taste better if you blanch them a little first. A minute in boiling water develops their flavor beautifully. Once the vegetable is out of the boiling water, dunk it in cold water to stop the cooking, drain it well and spin it in a salad spinner. If your pea shots are long, like 4 or 5 inches, consider cutting them in half. That way they toss more easily and are neater to eat. The dressing recipe makes about a third of a cup, enough for about a half of a head of cauliflower and a fistful of sprouts. Use red wine vinegar or malt vinegar. You can assemble the dressing in the bowl in which you intend to serve the salad, or shake it up in a jar to drizzle over the rest of the salad before serving. P.S. Reader Sandi Cirillo made the Sweet Potato Cake that we featured here a couple weeks ago, and get this: She cut the sugar called for in half. She wrote, “I want to tell you how wonderful that recipe is! I made the cake and loved it. It is moist and has just the right amount of spices, but it says two cups of sugar in the recipe. Well, I put in only one (and I think if I make it again I’ll put in only about a 1/4 cup). It was plenty sweet with only one cup of sugar, and being a diabetic, I will try and decrease the sugar content even more.” She took it to a party and reports everyone loved it. Good news for all of us watching our sugar consumption. 1. Heat the oven to 400 degrees Fahrenheit. 2. Toss the cauliflower with a few drizzles of olive oil, put in a baking pan and roast for about 15 minutes. 4. Toss the cauliflower, onion and pea shoots together and drizzle the dressing over them. Serve.